As a valued member of the Cloudy Day Wine Club, we’re extending you preferred access to winery-exclusive and newly-released wines, delivered three times a year (November, June and September)to your doorstep. Depending on what subscription you choose, with each shipment you will receive 3, 6 or 12 bottles at your home or office. You’ll be first to know about wine releases, events – and more! 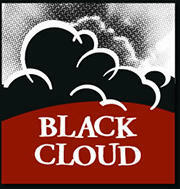 Black Cloud is available at select private liquor stores and restaurants in BC and across Canada to consumers through our Cloudy Day club store. Cloudy Day Club. See website for details.